It’s been very difficult, but it’s also been kind of like a new team. We only have seven guys playing now, adjusting to that has been hard in this short amount of time. Three games in six days, it’s been a lot, but we have to keep fighting each and every day. It’s kind of taken a toll physically, but Eddie Benion, our trainer, has been helping a lot. We’ve been staying hydrated, taking ice baths as much as we can, icing our knees, and stretching whenever we can. Taking care of your body is a big part of basketball as well. There’s nothing harder than individuals and boot camp. People don’t know that, that’s just behind-the-scenes work, but it does play a big role. Now, in these situations late in the season, it’s helping us have enough legs to keep going this year. The biggest grind is having more minutes in the games and the speed of the game. That’s just the biggest thing coming from high school to college, is the speed is a lot faster and guys are a lot bigger. At this level, everybody is very elite, so you have to be able to use your brain as well. Ever since I was little, defense has always been key with me. My mom always told me to play hard on defense because then you can do whatever you want on offense. That’s what all of my coaches said as well. I’ll do whatever the team needs me to do. I do need to be more of a threat driving to the basket and drawing the defense, so they can close down on me. We need to show that we have five threats on the floor at all times. That’s the main thing. Other than that, we need to play hard and get stops on defense. The defense makes our offense better, and when we start running, no one can stop us. I’m very big into pictures. I never had the money to buy a nice camera, so I saved up when I got here and I got a good one. I just wanted the experience, so the best way is with my teammates. I just tell them that I have to do my work and workout first, and then I can take pictures of you guys if that’s what you want. I just like taking pictures. I just have learned not to quit, and to forget about the last play. That’s the biggest thing for me, just forgetting the last play and moving on to the next thing. I’ve been getting a lot better at that. Last year, I would hang my head, and when I had a turnover it would dwell with me. This year, I got a lot better at it and I can talk myself out of it. The game is full of runs, and I have to move on to the next play. I would like to be coaching. I don’t know where though. I’d like to coach at the college level. That’s the main thing. I want to stay in basketball, that’s what I love to do. You can see how much fight he has, he’s born being a fighter because he had to fight his way all the way to where he is. He just wants us to go out and play hard. That’s what he loves about us, we don’t quit, it doesn’t matter how many people we have on our team. It’s been great. I love it. It’s my favorite gym to play in. It’s an homage to Lance Stephenson. He plays for the Lakers and he started it. I told my teammates that I love the celebration and I’m going to start doing it. It started at Maryland Eastern-Shore, that’s when I first did it. Every home game, I work out two and a half hours before. [The amount of shots I get up] depends on the scheme of the team we play. That’s what the warm-up is based on. 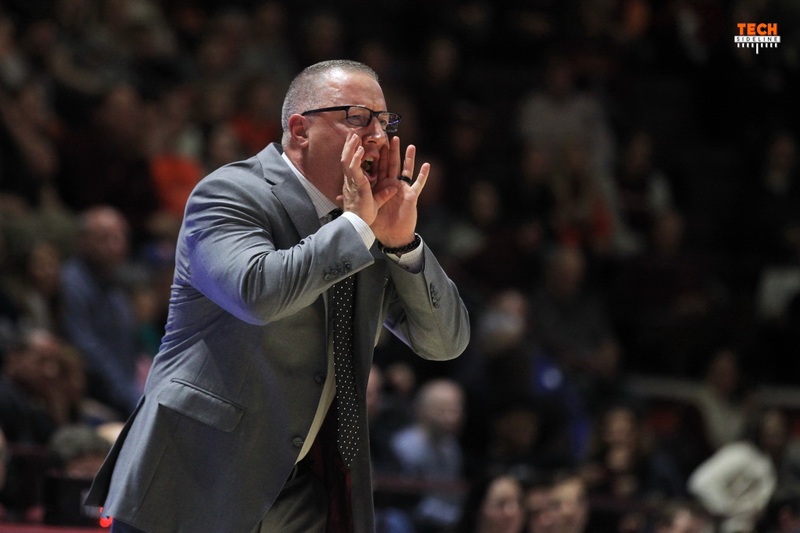 Wabissa Bede and Buzz Williams were Tuesday’s guests. All of this is fragile, but the response of our players, managers, and staff, it just speaks to who they are. It speaks to how they were raised, it speaks to how much they care, it speaks to the willingness of everybody to figure out how to share more responsibility as things have changed. There have been so many lessons throughout all of this. 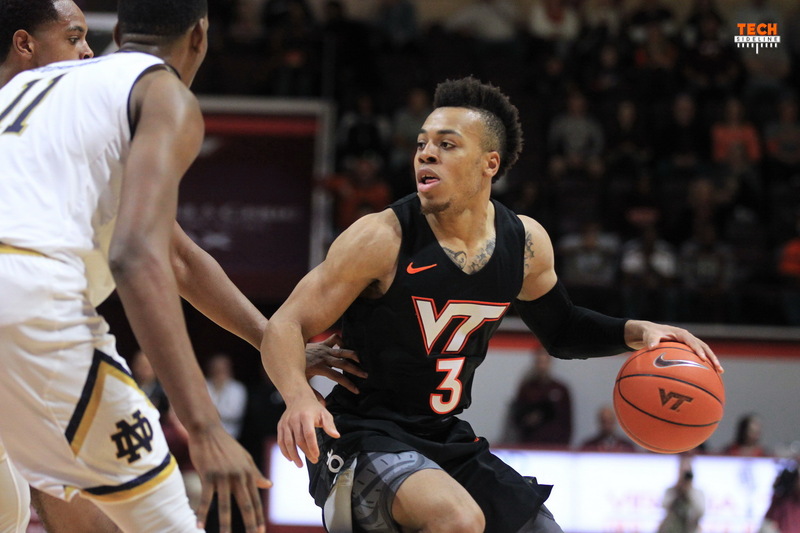 Obviously, Five [Justin Robinson] was last Wednesday, PJ was the previous Saturday, but there have been so many other challenges that have happened this academic year. From the chair I sit in, there’s been a lot of changes even before this academic year started. So, the lessons that I’ve been able to see from my perch will last a lifetime. I do think, as fragile as all of it is, there are still a lot of lessons that will benefit all of us as our life unfolds. As much as you try to put together the puzzle, and you have it all as what you think is potentially going to be the best ever. Then you see the puzzle beginning to change, and now the picture that you wanted, I don’t know if it will work out that way. That picture was so engrained that everybody is still fighting for it. I think the fight is the process, as some coaches would say, that has left an indelible mark on my heart. If you talk to one of our football coaches and asked them what they would be doing on the third day of training camp, they could tell you. These are the stations we’re going to do, and this is what we’re going to work on. Coach Gruden texted me today, and I asked which OTA I could come to, and I asked Coach Arians which OTA I could come to. Those OTA’s, because of NFL policy, they can do certain things there. I think it will help. It for sure won’t hurt, because what was going on on Saturday and Monday was just kind of, as best we could on the fly and as best we could in the film room. The seven guys that are going to put on a uniform at Clemson are not going to change, but if we can figure out how we can be a little more efficient, I do think that will help us. It may not change the result, but I think it will help us. I think it will give our guys a little bit more confidence. So, when you put in a play, it’s not that on that play, one guy is going to be in that spot. Potentially, four of those pieces are interchangeable, based on time, score, momentum, foul trouble, or if someone turned their ankle or needs a drink of water. So, when you install a play, it’s not normal. I don’t think that we necessarily need to install new plays, we just need time where the players can learn all of the positions of the plays. He said, ‘Yes sir, when?’ I said, ‘Just whenever it fits that criteria from Blacksburg to Raleigh when we can get off one mile and there is a gym.’ That was the Fulton YMCA [in Winston-Salem], and our guys are all asleep and I say, ‘Hey get up, we’ve got tier-two dummy offense.’ They go, ‘What?’ I’m like, ‘Yeah, go in there, there’s a ball and a court and we’re going to do tier-two dummy offense where we all know all of the pieces in tier-two. Then, in the morning, when we go to the gym at NC State, we’re going to do tier-three.’ They just said, ‘Yes sir, let’s get our shoes.’ We need some more of that, and we’ll get some of that on Thursday and Friday. It’s kind of like dancing. I’m not a good dancer, but I like to watch people dance. We have four children, and one can really dance, one is okay, and the other two are me. Cory can really dance, she’s says that it’s not that hard and it’s just this and that. I’m like, ‘Yeah, I understand what you’re saying, but as soon as you go, I think that she can dance.’ As we’ve watched our kids, as children you just turn on a song and say, ‘Dance!’ You can see it, they’ve got rhythm, they can dance. I’m 46, they turn on a song, and within five seconds you’re like, ‘Nope, can’t dance.’ Then, you see someone who can dance and think, ‘They’ve got it.’ That’s kind of what offense is, it’s just a dance. Sometimes you’re two-stepping, sometimes it’s a waltz, sometimes it’s hip-hop. When the dancers change, it doesn’t mean that you can’t dance. It just means that the vibe and the flow of what you’re responsible for in the dance has changed. I think one of the best things that we’ve done since we’ve been here is our ball movement. If you look at all of the offensive numbers that smart people study, we’ve always overachieved relative to our personnel, in my opinion. As our personnel has matured, sometimes it looks like our personnel is better than it actually is. Our personnel has matured within the way we want to dance. They know the song, when that song comes on, they know the beat and the groove and know where they’re supposed to be. When you lose those dancers, the song is still playing, but now we have to figure out how to change it a little bit. That’s what we’ll have to do over the next month. I shouldn’t be agitated that they don’t know what to look at. Why would they know what to look at? For what we need to do, it could not have been any more beautiful. That gave us the best chance in that dance. Just because it wouldn’t have gotten the viewership that the Super Bowl got doesn’t mean it isn’t important to us. That’s just what we have to figure out over the next 23 days. I need to do a better job of understanding that it is part of my responsibility after the game to talk about the game. I just have a negative attitude towards that and I need to not be so immature. So KJ and I are standing at half court for 99 seconds as [Bill] Dyer hobbled to try to find my wife, so my children could join us. Whoever the guy was took another two minutes, and he didn’t ask good questions to K.J., and then his questions only worsened with me. One way that I’ve tried to mature is that I play this game in my mind that when someone asks me a question, I’m picturing that person, even though it’s not that person. I have all of these things going on in my mind, so I have to concentrate like I’m at the circus and he has a jack-in-the-box coming out the side of his head. I have all kinds of things going on, that way I can maintain eye contact with them. He said something like there were some easy games coming up. The other game that I play when they ask a question such as that, I don’t even acknowledge that they’re there. Find what you want the audience to hear and just say that and remove them. Just look in the camera and say what you want to say, it’s like they’re not even there. I said what I wanted to say, and my dad, who has learned how to text, sent me a text and said, ‘What was Brian Oliver talking about?’ I said, ‘Who is Brian Oliver, what are you talking about?’ He said, ‘He was the guy on TV talking about whatever.’ I was like, ‘Yeah, who is that guy? Why is he saying that?’ He thought I answered it beautifully. There’s nothing about what we’re doing that is easy. I don’t want to be the coach that acts like basketball is so hard, we work so hard, it’s life or death, and it’s war. I don’t ever want to even broach that chatter, but when someone says something like that, that’s when a coach takes it out of context and has a meltdown. I’m trying not to ever have a meltdown, but he said something about us having a couple of “gimme” games, which means he hasn’t looked at the schedule and he doesn’t know that we play in 42 hours. Just remove him from the equation, that’s one of our ball screen coverages. Just go straight to the ball and don’t worry about the guy setting the screen. That’s what we tell Ty [Outlaw], the ball is more important. Ty, when your guy is going to set a screen, he’s not going to set a screen, he’s bringing you to the ball. You’re mirroring the ball, don’t worry about your guy, we’re taking your guy out. Everybody else on the team is worrying about your guy, you’re worried about the ball. It was the most moved I have ever been in a postgame locker room. I was crying before the game in front of the team, and then was crying so much after the game that I could hardly speak. It was not necessarily because we won, it was because of how they handled it and how hard they fought. I’ve never seen seven guys fight as hard as they fought all for one common cause, and hang in there in the manner in which they did on the road against a top 25 team. This is a place we had never won since we’ve been here, I have so much admiration and respect, and I just broke down in a good way. I broke down to a point that when we were praying, our guys just came to me because I was so shook up. Then, 45 seconds later, I was talking with Burnop, so I did a bad job. I have never been that moved, and I think that was game 394 of my career. I’ve been a lot of places and seen a lot of good games, but I had never been that moved considering all that went into it. I was just emotionally bankrupt in a good way. That’s good. Five got it because he played so well against Syracuse. Then, Nickeil had 25 points and six steals at Miami. That’s good, and we won both of them. Then, he just kept talking. So, I just asked Coach Mack if there was any way we could not have interference. Then the one official asked me to step back in my box and I go, ‘No, I’m not talking to you, I never talk to you, I don’t even know [who] you are, you haven’t been here all year.’ He goes, ‘You’re out of your box.’ Then I go, ‘He’s out of his box.’ We’re not talking to you. So, I drew it up, and I look out there as we take it out of bounds, and they’re in zone. They haven’t been in zone all season. They’re upset, so be it, but then we score. Then it goes from an 11-point game to an 8-point game. We’re not in a position right now where that matters, but a month from today, hopefully we’re in a position where it matters. That’s why I did it. It’s a new metric that the NCAA Tournament Committee is going to use. The issue that coaches have is that the new metric is probably okay, but they haven’t explained how the metric works, but one of the categories of the metric is margin. So, you see a lot of games where what we did is happening, but sometimes it is happening the other way, and opponents are getting even more upset. You’re up nine and you call a timeout because you want to score and have a win above ten. I haven’t done that this year, but it’s happened repeatedly in conference play, not our conference, but all conferences. That’s because of that, but until you know the formula, you don’t know if that moves the decimal point one spot, two spots, or three spots. Does it over an accumulation of games change your seed line? Nobody knows because the NCAA hasn’t released the formula, so everybody is just doing it. Talks about character but disrespects people and situations that don’t appeal to him. Poor form and immature. He does, however, recognize and acknowledge his weaknesses. A very complex individual, and almost always an enjoyable read. IMO not as much complex as just disjointed and conflicted. He’s a mess! Sounds like he definitely thinks the Louisville coach is a huge tool…has no use for him whatsoever it appears. Did you see the a-hat exchange that the Loserville coach had a halftime with the reporter. She asked what I thought was a normal question and he was just a smartaxx.